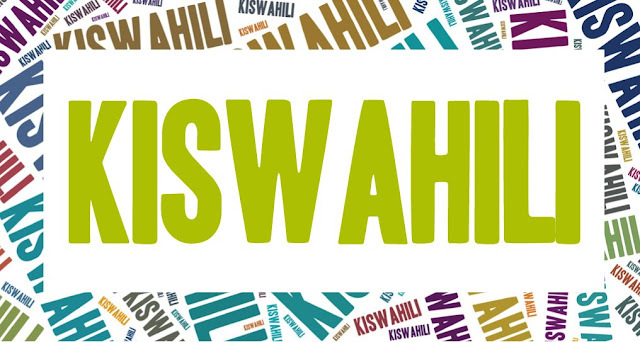 Kiswahili -- "the language of the Swahili people" -- is one of two official languages in Tanzania. (English is the other one, but spoken by fewer people.) Most Tanzanians speak their mother tongue -- one of some 128 languages spoken in the country -- within their own communities, using Kiswahili for official communication, or to communicate across groups. According to the official national linguistic policy announced in 1984, Swahili is the language of the social and political sphere as well as primary and adult education, whereas English is the language of secondary education, universities, technology, and higher courts. The government announced in 2015 that it would discontinue the use of English as a language of education as part of an overhaul of the Tanzanian schools system. - Wikipedia, Languages of Tanzania. Retrieved October 23, 2016. I wanted to learn at least some basic Kiswahili before going to Africa next year, so I have been attempting to follow a Pimsleur course, albeit with little success. But on my fourth listen to the first lesson, I could almost follow along... The language is so different to anything I've ever heard or attempted to understand, that -- apart from some very random words in "The Lion King" (!!! ), I don't know any. A note on spelling: I've found multiple spellings of many Kiswahili words... I'm just going to use what seems like the most consistent spelling. And probably get it wrong 50% of the time. UK Adventure part 3: Otley!